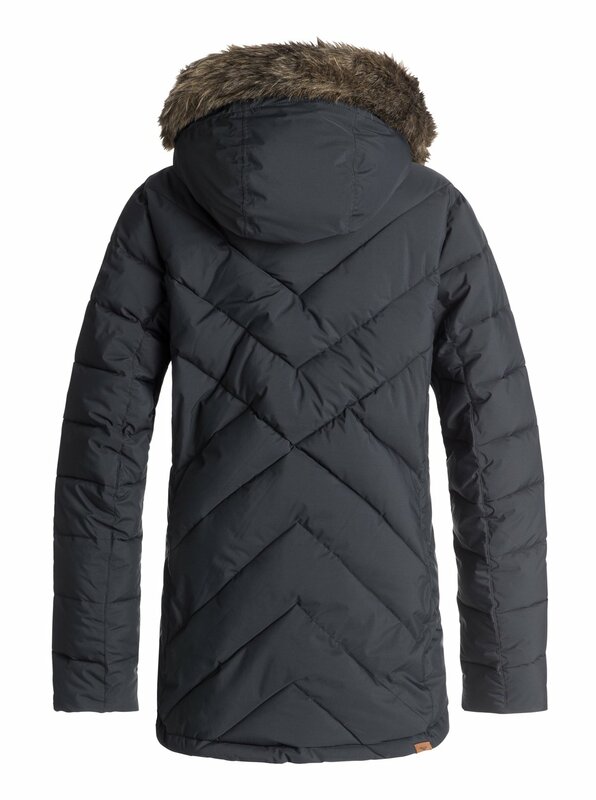 Cozy up in the powerhouse warmth of this women's 10K quilted snow jacket. 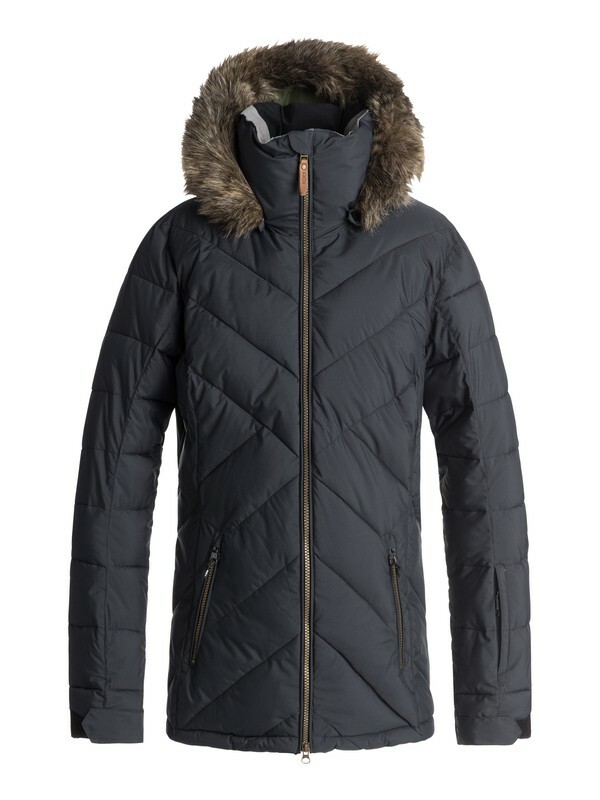 Featuring a ROXY HydroSmart moisturizing collar and PrimaLoft’s® finest Gold Insulation Luxe which looks, feels and performs like down while offering superior performance in wet conditions. 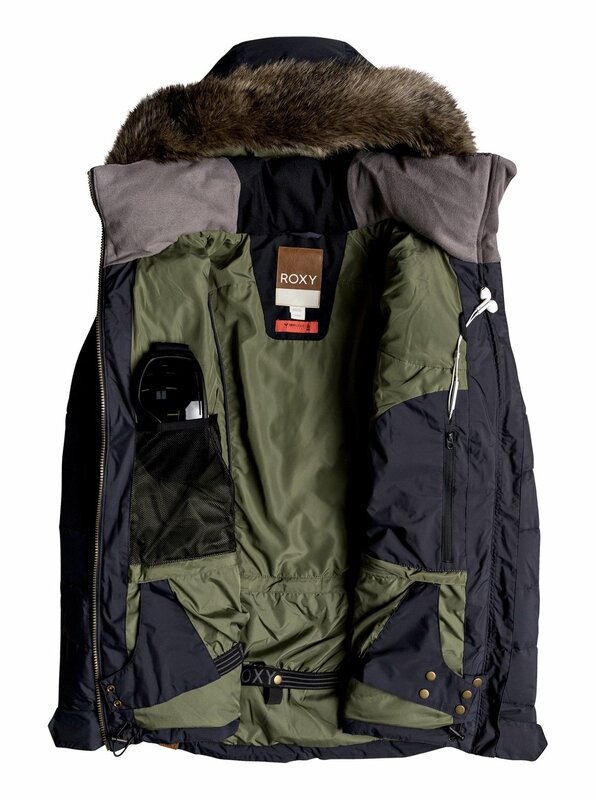 Versatile street-to-slope style comes in easy colorways with a removable fur-trimmed hood.